Down syndrome is a genetic chromosomal disorder that causes developmental and intellectual delays. Easterseals offers many resources for children and their families including physical therapy, occupational therapy, nutrition therapy, speech-language therapy, inclusive day care, and support for parents and siblings. Down syndrome therapy services can help a child meet motor milestones, master self care skills, develop school readiness and improve play and social interactions. Easterseals DuPage & Fox Valley offers these services at our centers in Villa Park, Naperville, and Elgin. To get started or learn more, call us at 630.282.2022. Physical Therapy (PT) helps children master skills related to independent mobility and gross motor function, and is one of our core services. In PT, we work to enhance and restore mobility, functional competency and independence for children with sensory disorders, and other neurological, developmental or orthopedic delays and/or disabilities. Our licensed physical therapists utilize individualized therapy plans implementing exercise, specialized techniques/devices to encourage independence at home, school and in the community. The primary occupation of childhood is to grow, learn and play - allowing the child to live life to their fullest potential. Occupational Therapy (OT) focuses on developing sensory-processing abilities, motor skills, coordination, peer interaction, play and self-care skills to participate in daily life activities. We offer a comprehensive evaluation and customized treatment plans. Speech-Language Therapy strengthens children’s communication and feeding skills so they can participate fully in daily activities and achieve success. Speech-Language Therapy addresses language comprehension, pragmatics, speech-sound production, voice, fluency, along with oral motor and feeding skills. Our therapists have years of experience in typical and atypical speech and language development and offer a fun and engaging environment for children to learn and develop their skills. Assistive Technology (AT) at Easterseals DuPage & Fox Valley improves the functional capabilities of children with disabilities through the implementation of strategies, technologies, and products. For example, AT can assist children who need help expressing their thoughts, needs, wants, and ideas. By making it easier for the child to communicate, it can reduce frustrations for the child and his or her family. The Medical Diagnostic Clinic at our Villa Park Center is for families who are seeking a multi-disciplinary medical diagnostic evaluation for their child. 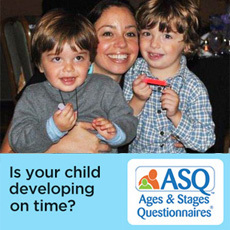 Through a partnership with the University of Chicago, this evaluation is conducted by an experienced team of professionals comprised of Peter J. Smith, MD, a developmental-behavioral pediatrician; highly-trained specialists in occupational therapy, speech-language therapy, developmental therapy, and audiology; and a parent liason from Easterseals DuPage & Fox Valley. This partnership provides a strong, cohesive team specializing in early diagnosis of the young child. Just like a GPS helps you navigate unfamiliar streets, our family services team helps parents and families navigate this new and unfamiliar path. We offer educational resources, networking opportunities and social activities for children, families and caregivers. Our sibling services provide much needed support to both the typically developing sibling and the sibling with disabilities. The Lily Garden Child Care Center at Easterseals DuPage & Fox Valley in Villa Park is an inclusive daycare that welcomes children with and without disabilities. Our mission is to foster independence, compassion, knowledge and respect for all children. We are committed to providing an environment where all families are valued, supported and encouraged.